We will be performing scheduled maintenance on August 20th. During this time, the 30th Anniversary web site will be unavailable. The official symbol for the 30th anniversary of RCAST has been selected by 30th Anniversary Project Committee through the competition conducted from 8 September 2016 to 7 October 2016. The winning design was designed by Kensuke Yasui. It will be used for the events related to the 30th anniversary of RCAST in 2017. New and diverse researches have influence mutually. Optimal integration and innovation are created in RCAST. 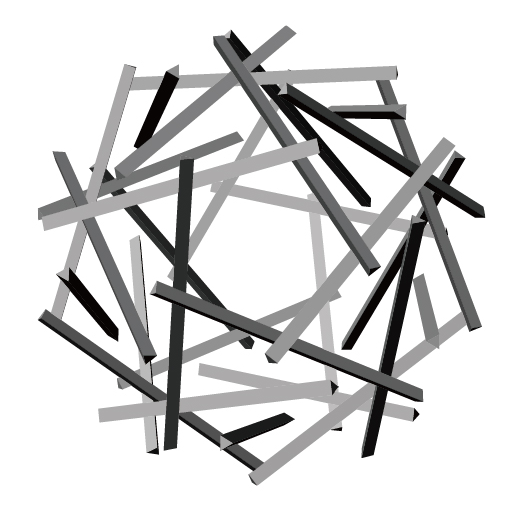 We express the 30th Anniversary symbol as Tensegrity of 30 triangular prisms.